But sometimes those not-really-recipes-but-kinda-recipes are the best. Because the faster you can make this, means the faster you can eat this. And you’ll want to eat it, I promise you that. 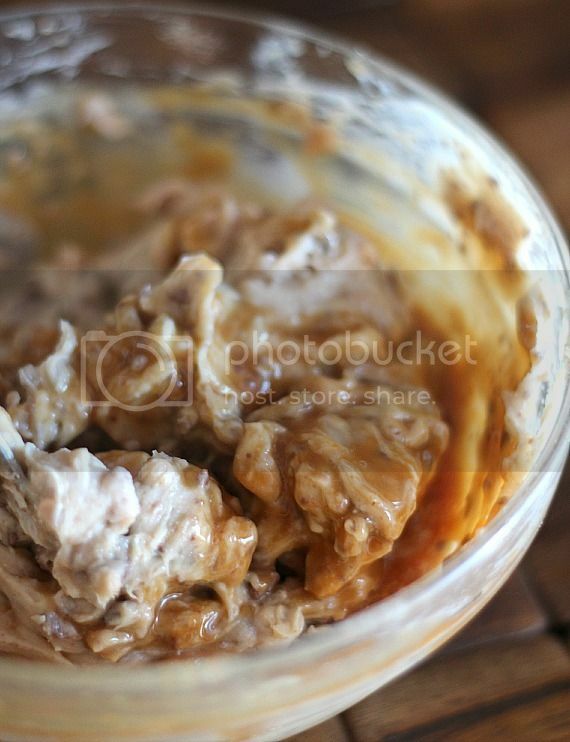 This is Caramel Apple Dip. You can eat it with apples, or graham crackers or a spoon..whatever works for you. With the holidays coming up, you’ll need a recipe that can be either an appetizer or a dessert and can be made in 2 minutes. Because double-duty foods are essential for being a good party guest. Didn’t you know? Put all the ingredients in a bowl and stir. Now seriously, go grab a spoon. 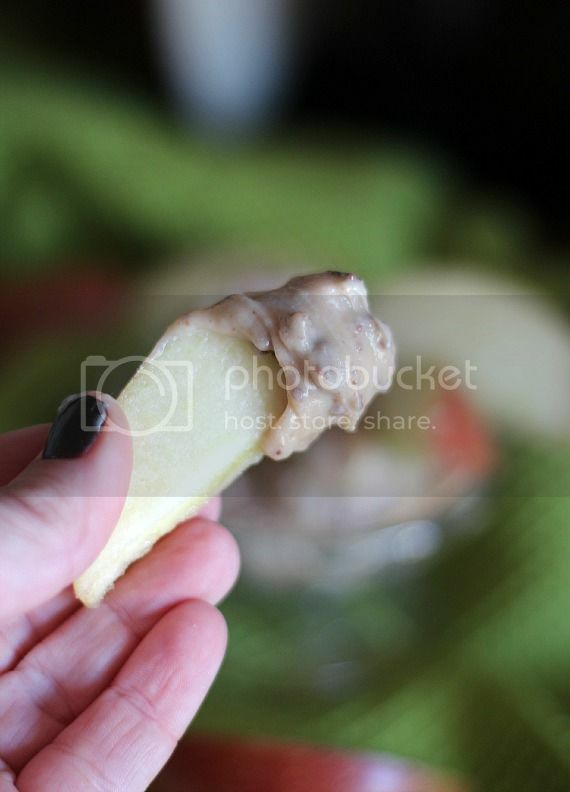 Serve immediately with apples or graham crackers. oooh, yes please! I don’t think I’d be able to control myself with this dip, it looks so delicious! This is so lovely! Great idea! Dips are my fave. 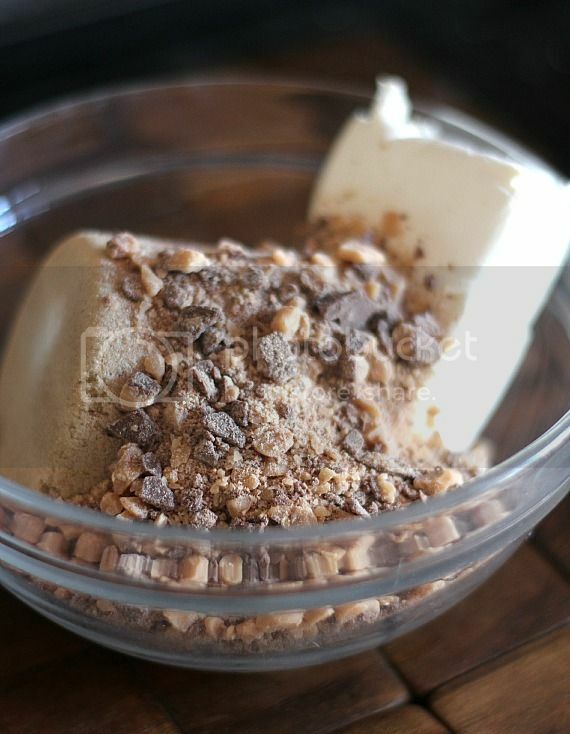 So creamy and dreamy and oh my god why don’t I have this right now?! i’m dying. this is probably like crack, but more addicting. not that i’d know what crack addiction is like..but you know what i mean. I made a dip exactly like this for a halloween party – people were like bowing down to me – it’s crazy that such simple ingredients can make such a winning party food! we couldn’t stop eating it! Given how many things I’ve volunteered to make for thanksgiving…yeah somethign simple would be great. This looks..addictive. And almost TOO easy. I’ve been going through a huge dip and apple phase lately. 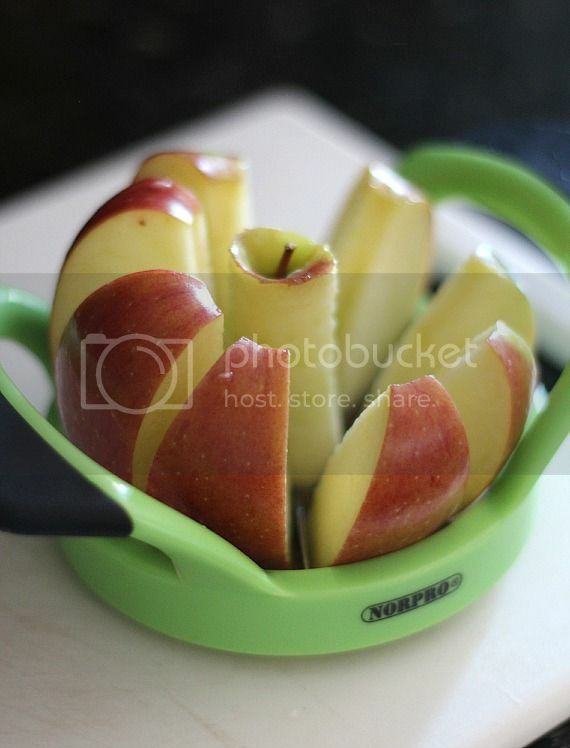 And now I’m also obsessed with your apple cutter. I’ve been doing it the old timey way!!! I have cream cheese and caramel sauce in the fridge and apples on the counter. Count me in for this non-recipe any day! I love how you make me want to eat fruit, almost. I am sort of leaning towards the spoon option. Love the toffee in this! Yum! I love this stuff! We make it every fall for a tailgating party, only we layer it. Just about to hit print…can’t wait to try out this recipe. I made something similar to this and it was a huge hit with everyone who tried it!! We make something a lot like this and it is always devoured within minutes of serving! 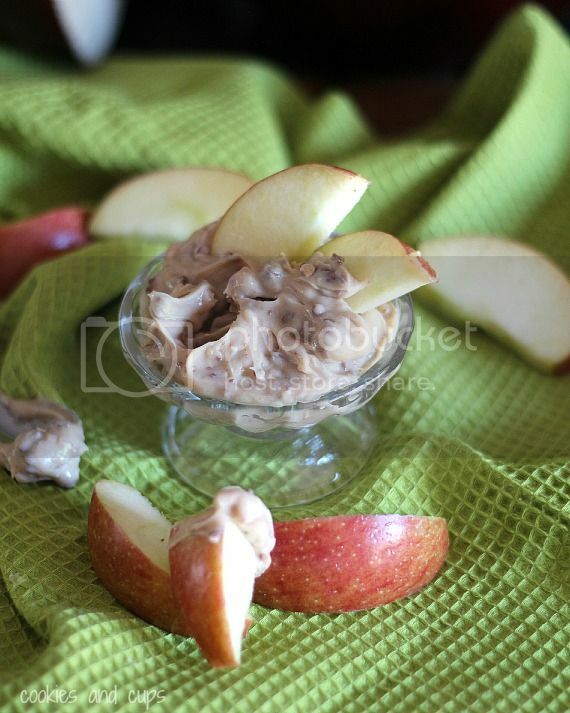 I’ve made an apple dip similar to this with using weight watchers toffee candy so little less calories and just as tasty! Is it really sad that I have all the ingredients for this in my house – usually at all times? Umm, yep – I’m off to the kitchen now….. I was given some of this recently as a gift and boy was it good!!! I could not stop eating it. Totally pinning this! This recipe is a family favorite. . . only we’ve never thought of including toffee bits! I will have to try it- I bet it’s amazing. Wow, I love it…..you are right, and it just went on my Thanksgiving Day Menu. Easy is so good! Who doesn’t love non-recipe recipes? Especially when cream cheese is involved?? This would be perfect for when all my little nieces/nephews/cousins want to help in the kitchen! Definitely will eat more apples and fruit if I have this in my house. Oh man, pass me that bowl! This is amazing! And the fact that it’s so easy makes me even happier. I make a similar version using cream cheese, 1 cup brown sugar, 1 cup chopped peanuts and teaspoon vanilla…give it a try w/ apples. So yum!! Umm totally agree, these kinds of recipes are the best!!!! I made this yesterday for a cookie exchange party I was hosting (also kinda inspired by you) and it was pretty incredible! So not only did I get to keep 6 different kinds of cookies, I also got to eat spoonfuls and apple-fuls of this crazy sweet dip! Awesome! I made this for Thanksgiving, only we didn’t end up eating it because of all of the other yummy food. So I’ve been buying and eating apples so I can finish off the caramel dip (so, it’s healthy, right?!?) I plan to make it again at Christmas and take it along to our family gatherings. Or just eat it myself–the jury’s still out.